In Volume 7, Issue 3, Pages 94-100 (September 2008) of The Journal of Chiropractic Medicine shows a new study of Standard Process 21 Day Detoxification Program and its impact on blood serum lipid levels. 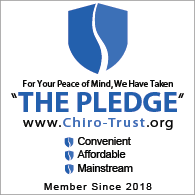 Dr. James P. Powell, director of Powell Chiropractic Clinic in Canton, OH took a group of chiropractic patients and placed them on a 21 day nutritional program that included nutritional supplements, a restrictive diet and fruit and vegetable consumption. Serum triglycerides decreased from 116.3 ± 54.6 (mean ± SD) to 88.6 ± 40.5 mg/dL (P < .01). Total cholesterol decreased from 223.3 ± 40.7 to 176.2 ± 30.0 mg/dL (P < .0001). Low-density lipoprotein cholesterol decreased from 145.7 ± 36.8 to 110.9 ± 25.3 mg/dL (P < .0001). High-density lipoprotein cholesterol decreased from 54.3 ± 14.6 to 47.6 ± 10.5 mg/dL (P < .001). Weight for patients decreased from 191.2 ± 38.8 to 182.2 ± 36.3 lb (P < .0001). This study shows the remarkable transformation of cholesterol, triglycerides, LDL, HDL and weight loss that can occur in just 21 days. Please call us at (305)883-5577 for more information about the Standard Process 21 Day Purification Program.